I tweeted the other day about how proud I am of living in a community that has such great conversations. 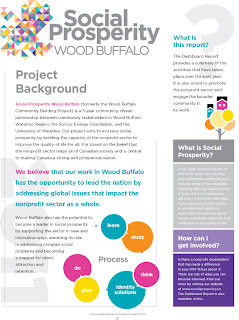 We had one yesterday with the Social Prosperity Wood Buffalo Change Lab. Formerly the Wood Buffalo Capacity Building Project, Social Prosperity Wood Buffalo is a 5-year project funded by the Suncor Energy Foundation in partnership with the United Way of Fort McMurray, Regional Municipality of Wood Buffalo, MacDonald Island Park and the University of Waterloo. It is really about building capacity and sustainability in the nonprofit sector in our region. "There are two major drivers of the economy in Canada: Waterloo and Fort McMurray-Wood Buffalo," said Kim Coates, academic lead from the University of Waterloo. The similarities between the two communities run and deep and representatives from the technology hub were in abundance at yesterday's sessions. The change lab gathered a diverse crowd from education (Keyano College and school boards), nonprofits, industry, arts and culture. "Thank you for setting aside the time to participate in these rich discussions," I said to start the day, bringing remarks on behalf of Mayor and Council. "It's never easy to put aside all the things in the office, even if only for a few hours, but it is so important to do so, and we thank you." This project began last year on February 1st with an impressive opening day that attracted a huge crowd at MacDonald Island. Since then, action learning teams have been busy exploring five themes: Arts and Culture, Building Capacity, Harnessing Great Ideas, Shared Space, and Social Planning. With 34 meetings in just 10 months, Social Prosperity Wood Buffalo is helping to build networks, relationships and encourage the heart. 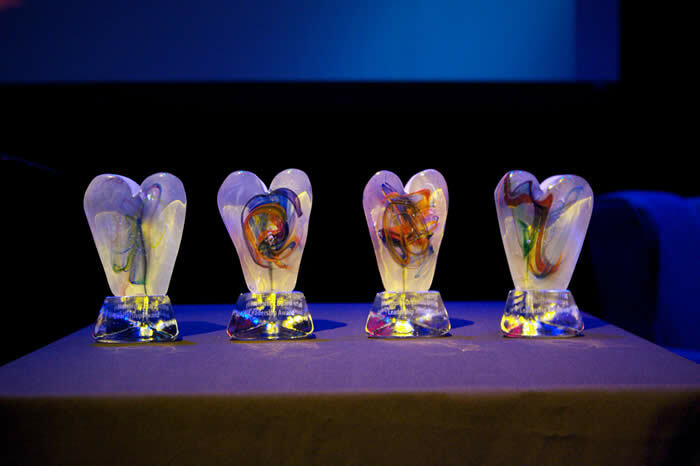 Certainly, one the high points for me was the Heart of Wood Buffalo Leadership Awards evening in June. 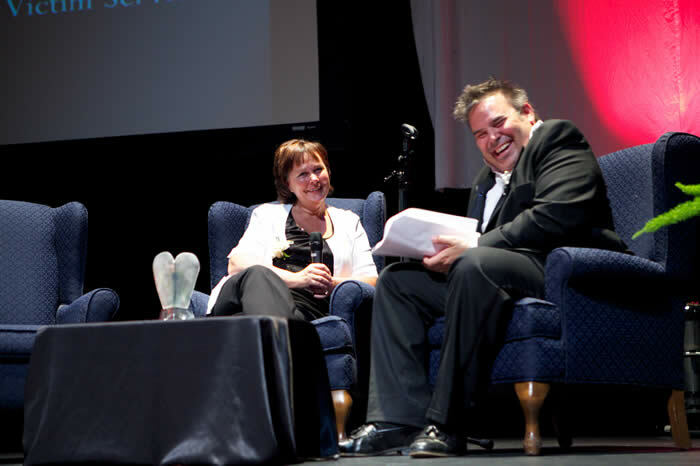 My good friend Claude Giroux emceed a wonderful program that featured leaders and organizations that are champions in our region. A framework for building socially prosperous communities was put forward as a possible model to build capacity in our nonprofit sector. If you want to find out more visit www.socialprosperity.ca or download the Social Prosperity Wood Buffalo Report here. You can also follow the various conversations on Twitter using the hashtag #spwb.